WWE Stackdown Raw Ring Set review! If you don't know about WWE professional wrestling or think it's just a big, fake joke, you're missing out on a very real industry stalwart and one of the consistently most-watched forms of spectator entertainment in North America (and it's quite popular many other places in the world as well). 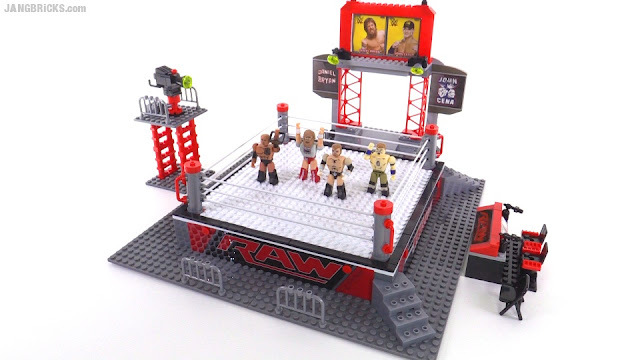 C3 Toys is the official manufacturer of licensed WWE brick-based construction sets and the figures that go with them. I've shown some of the figures & smaller items before, but here's my first review of one of the core ring builds. wwe is one of the most fake things I have ever seen.